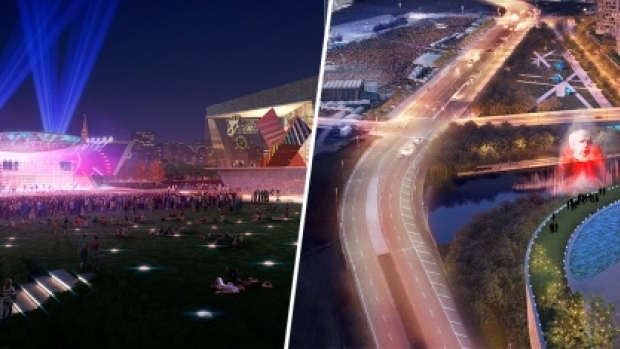 OTTAWA — A second group has expressed its interest in developing Ottawa's LeBreton Flats, and it says an NHL arena is part of its plan. DevCore Group, which submitted a bid to develop the area near Parliament Hill in 2016 but lost to a group co-headed by Senators owner Eugene Melnyk, said in a statement Monday that it remains ready to take over the project should the current agreement between the National Capital Commission and Melnyk's group be terminated. "Our team has the expertise, experience and the financial resources that are necessary to deliver a world class project on behalf of the citizens of Ottawa and all Canadians, working together with the National Capital Commission and the City of Ottawa," DevCore Group president said Jean-Pierre Poulin said in a statement. "With respect to hockey ... we will still include a portion of land adjacent to the LRT station reserved for the exclusive construction of an NHL arena. "We do not believe Ottawa or Canada should be held hostage one day longer." The current arrangement between the NCC and the RendezVous LeBreton Group, headed by a partnership between Melnyk and Ottawa developer John Ruddy, is in serious peril after Melnyk sued Ruddy for $700 million seeking damages as a result of a "failed joint venture." Capital Sports Management Inc., a group controlled by Melnyk, says in a Nov. 23 statement of claim that the two companies were not able to finalize a master development agreement for LeBreton Flats and alleges "a number of breaches, all arising out of a conflict of interest, that directly resulted in the failure of the partnership." The Senators currently play at the Canadian Tire Centre in Kanata, around 25 kilometres southwest of Ottawa's downtown.